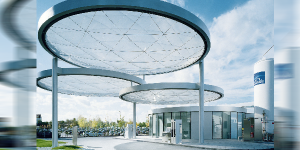 The new technology will help pave the way towards more affordable hydrogen fueling models and particularly the possibility to fuel simultaneously will decrease waiting time significantly. Werner Ponikwar, head of Hydrogen Mobility Solutions at Linde, speaks of California in the highest terms regarding hydrogen mobility. This is due to a number of factors, not least is the financial aid provided by the California Energy Commission. The Linde Group has set up more than 150 hydrogen fueling stations worldwide.